If only there were Janome Hello Kitty sewing machines when I was learning how to sew: cute, affordable, easy to use for little hands and less intimidating than larger models. 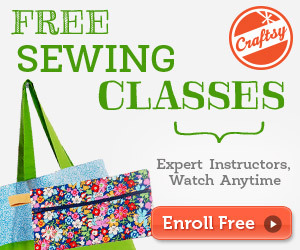 I remember when I was twelve and my mother was first teaching me to sew. Seeing that large machine with a pedal waiting for me to run my fingers under the needle, nothing but intimidation. It took me a few weeks to decide that it wouldn’t actually eat my fingers, and that I could manipulate it to make fantastic projects. The Hello Kitty sewing machine for kids is ideal for girls or boys, as it comes in a few different colors. Below are a few of the things that you should keep in mind when looking for your young one’s machine. Metal frame (to keep machine steady when those beginner’s feet let the pedal get away from them) For young sewing participants, having a few built in stitches can help them learn how to use different materials as well as giving your child the chance to learn about seams, hems and button holes. The feet that are generally used with young ones who are just starting out would be the zipper foot, button hole and standard. This allows them to create just about any project and get a feel for what they like the most. The size of the machine in my opinion, is a major deal maker. When I started out on a full sized machine, it gave me pause due to being so large and hard to handle. My little arms weren’t long enough to reach around to the wheel at times, and the pedal was hard to manipulate. With the Hello Kitty sewing machine for kids, the size makes it ideal for those smaller stature material lovers. Lastly, automatic needle threading: it’s not a necessity, but it should be something offered. Your child should be taught how to thread a needle manually, but once they know how, there’s nothing wrong with having a little bit of help from the auto threader. Whether you son or daughter wants to learn to sew, this Janome Hello Kitty sewing machine offers them everything they will need to learn. It has a metal frame, so it is able to deal with denim material, and runs as well as the larger Janome models. Even if you decide you want a lightweight machine to take to a class, this 12 pound powerhouse will stand up to the projects your teens will take on as well as the smaller ones your younger children will want to take part in. The storage area on the front left is completely removable, so that there is room for free arm sewing projects like hems and cuffs of sleeves. And the side loading bobbin is just inside the storage compartment, making it easier to load. Giving them projects like making their own Halloween costume with a little help from you can be so much more fun, especially when they know that they can do it on their machine. The dial on the right controls the 11 different stitches, which includes 2 stretch stitches as well as the 4 step button hole. There is a lever built in so that you can reverse a stitch, allowing for reinforcement. There is no auto bobbin winder, but this will allow for the child to learn to wind one manually on the machine. There is also no speed control on this model, so learning the pedal is a necessity. The price range for this model is from $110 to $140, depending on the package you are able to get. There are packages including books for new learners, as well as additional project patterns if you look in the right places. The list of stitches includes: straight, satin crescent, zigzag, satin diamond, stretch overcast, needle left straight stitch, multipoint zigzag, fagoting stitch, shell, blind hem, blind hem stretch, satin arrowhead, single and double over lock, satin stretch 1, 2 and 3 as well as cross stitch, one step bartack button hole, smock, overcast, satin 3 step zigzag, straight stretch and needle left straight stretch. There are 4 feet included: blind hem, general purpose, button hole and zipper foot. The width selector and stitch selector allow for you to have more choices when deciding how tight or loose you want your stitches to be. The tension control also helps when using different types of threads, which all new users will want to experiment with. There is also a manual thread cutter on the back side of the needle housing, which will teach newbies how to use one before moving on to the auto thread cutters later. The one step button hole setting is ideal for those just starting out, since the 4 step can be a bit confusing to follow. The size of the button hole is determined by the button inserted into the housing on the button hole foot. It will bartack on each end, and new users will be amazed at how neat it looks when finished while old pros understand and admire the one step. Whatever your preference, this 14 pound Hello Kitty sewing machine white and red in color will definitely hold its own against competitors. It is not a ‘mini’ machine, nor a toy even though seeing the cute design will make you want to play frequently. The average cost for this one ranges from $145 to $170 depending on the package features available. This red Hello Kitty Janome sewing machine for children offers even the oldest of kids to have access to a great machine with lots of features that larger models have. There is really no project that this Hello Kitty red sewing machine can’t tackle. The built in stitches in this model are the same as all other basic models, but offers two needle positions that most of the others do not. This allows for a left needle position, for those projects that require such. It also offers the four step button hole and a thread tension dial control. 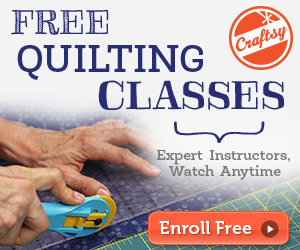 This will allow for the beginner to use different strengths of thread, and try out new projects. The aluminum frame holds the machine steady through the 650 stitch per minute top speed. There are markings on the needle plate, and for beginners this is crucial. This is the only model of Janome Hello Kitty sewing machines that offers this tidbit. Starting out, it is wise to have this available, as you can guide the material along the markings to keep a straight and true stitch. The vertical hook bobbin may make for a few mistakes in stitching, but with practice can be very helpful. The dial selector for selecting stitches is ideal, as it is easy to turn and shows the stitches on the dial for easier understanding. When teaching a newbie about stitching, it is always helpful to be able to see the stitch before you decide to use it. My mother used a scrap of material and made me stitch a line across the fabric for each type of stitch, and it definitely helped being able to see them to determine their use. The overall cost for this model is anywhere from $110 to $140 depending on where you purchase it, and what package you can find it in. Some packages include materials for a first project, and others include additional tools and feet. Shopping around for exactly what you are looking for and reading reviews is ideal for this model. The only Hello Kitty sewing machine for kids that offers computerized sewing has hit the scene! This is the most deluxe of all models available, with a varying price range of $250 to $280 based on retailer and package options. This model is white with red markings and of course the patented Hello Kitty decor. There are fifty different stitches built into the programming, allowing for any kind of project you choose to take on. And the capability of using this for quilting is there, since the storage compartment is removable allowing for free arm sewing. The auto needle threader is standard, as well as adjustable drop feed. The speed of the machine is controlled with a slider instead of a knob or dial, making it harder to accidentally speed it up or slow it down. The four feet that are included allow for different kinds of projects such as pants, blankets or quilts, doll clothes or even heavy denim. The heaviest of all the Hello Kitty models weighs in at sixteen pounds, making it very solid and still easy to pick up and take with you. The auto lock stitch button accompanies the up and down needle button, and the start and stop button. The LCD screen shows all the information you need to know at a glance when working on your project. The speed, stitches being used and length are all shown. Most beginner models offer a very low threshold for the presser foot height, to keep smaller fingers from getting into the path of the needle. This machine offers a higher clearance, therefore watching your new student may be in order for the first few hours of practice (or until you are sure he or she has the hang of it). Children of all ages will enjoy this Hello Kitty sewing machine. Just for the cute factor, the Hello Kitty Deluxe 2 in 1 Fashion Center is a hands down, adorable piece for a little girl just starting out. This little kit includes a small pink sewing machine called the Hello Kitty Chain Stitch Sewing Machine as well as a notion box. The machine offers only a chain stitch, and comes with a tool to attach beads and rivets as well as all the supplies to do a few different starter projects. This is truly a Hello Kitty sewing machine for kids, with the capability of applying beads and rivets that all little girls love to play with. Projects that can be completed on this small machine include hand bags, totes and hanging wall collections. A needle threader, instruction booklet, measuring tape and two spools of thread are included. The cost ranges from $70 to $90, and even though it isn’t entirely popular, there is sure to be a small girl out there dying to learn to sew and this would be a great little addition. Although there are numerous options to choose from, the teal green or red model is ideal for boys or girls. Our favorite and the model that has gotten our vote is the Janome 18750 Computerized sewing machine. The 6 and up little girl crowd would love the Hello Kitty Chain Stitch Sewing machine, but it is not practical for ongoing use and larger projects due to the limitations of the machine. Instead, the Janome 11706 3/4 size machine should be sought. For older learners, the Janome 15822 will make the best choice. However you decide to go when buying your Janome Hello Kitty sewing machines for kids, enjoy the experience and sew on!